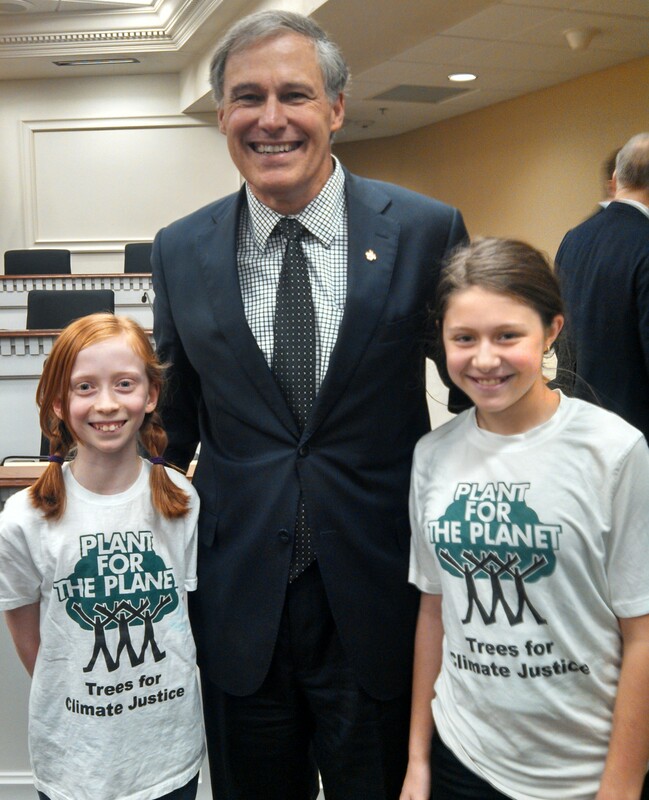 Ambassadors Wren and Zoe from Plant-For-The-Planet share a moment with Washington Governor Jay Inslee in Olympia. 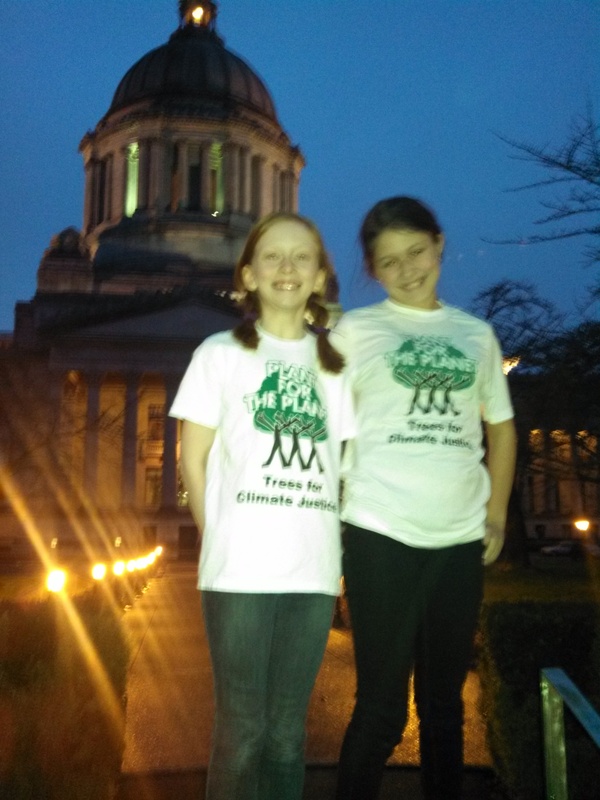 Zoe and Wren left school early on Friday to get to Olympia in time to speak at the climate hearing hosted by Governor Inslee and the Climate Workgroup (CLEW). The ambassadors’ preparation really paid off when they got their turn to address the room. They shared the scientific plan to keep global warming closer to 1-degree C this century, and then announced Washington’s Billion Tree Campaign by 2020, a big surprise announcement. You can see their testimony online on TVW. We met so many friendly people who welcomed the ambassadors and wanted to hear more about Plant-For-The-Planet and our inspiring ambassadors for climate justice. What an exciting night! We’ll have a full story with more news and links from Olympia soon! Check back for more ambassador activity every week. Or better yet, sign up to follow the site, and you’ll get notice when we post new articles! Wren and Zoe outside the Capitol in Olympia. These 2 ambassadors delivered powerful testimony announcing Washington’s Billion Tree Campaign. Very exciting and meaningful. Congratulations to you and Zoe and Wren. Plant for the Planet is so powerful. 2014 will be a significant year. Celebrate your success! !